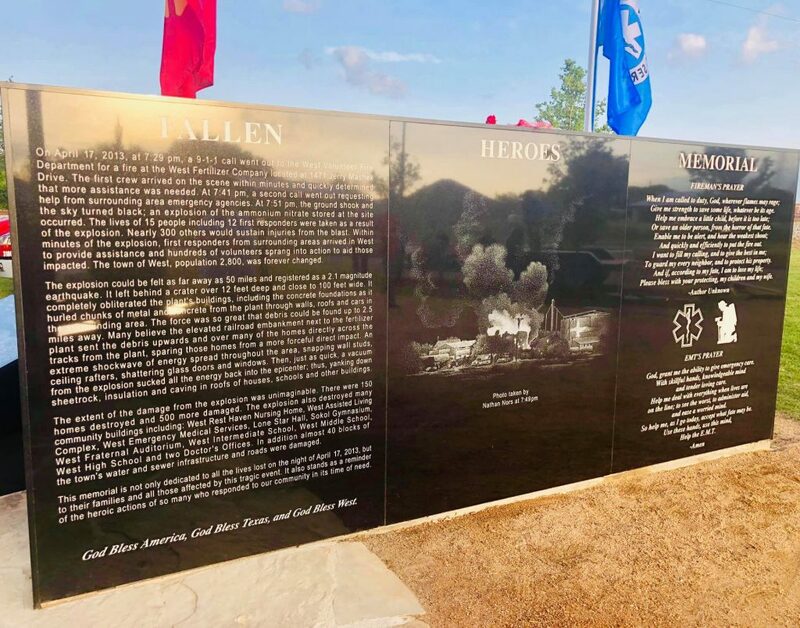 A new memorial dedicated to the first responders who died in a fire and explosion in the city of West, TX, was unveiled Saturday morning. Fifteen people died in the 2013 fertilizer plant fire and explosion. Governor Greg Abbott said he’s proud of everyone who worked to make West better than it’s ever been.